For local brides who want to get married at a countryside farm, barn wedding venues in Connecticut offer the perfect solution. Here are a few barn venues, each with a different personality and different style. Candlelight Farms Inn has the feeling of a historic family farm. An outdoor ceremony space sets the stage for couples to exchange their vows under arching white birch trees – especially beautiful during the fall. Host your reception in the airy hangar barn, and stop by the working equestrian center on the property. The onsite bed and breakfast features five comfortable guest rooms. The gem of this property is the well-maintained landscaping. The ceremony space features a white pergola covered with climbing vines and surrounded by brightly-colored rose bushes The bluestone terrace is an elegant cocktail space, and the gently weathered Chestnut Barn will come to life with music when your reception begins. A collection of three barns on one farm – perfectly situated to usher your guests through the day. Fully staffed with onsite farm-to-table catering available. With a pond on the grounds and a beautiful tree line edging the property, this venue makes a great choice for a bride looking for a classic farm wedding. 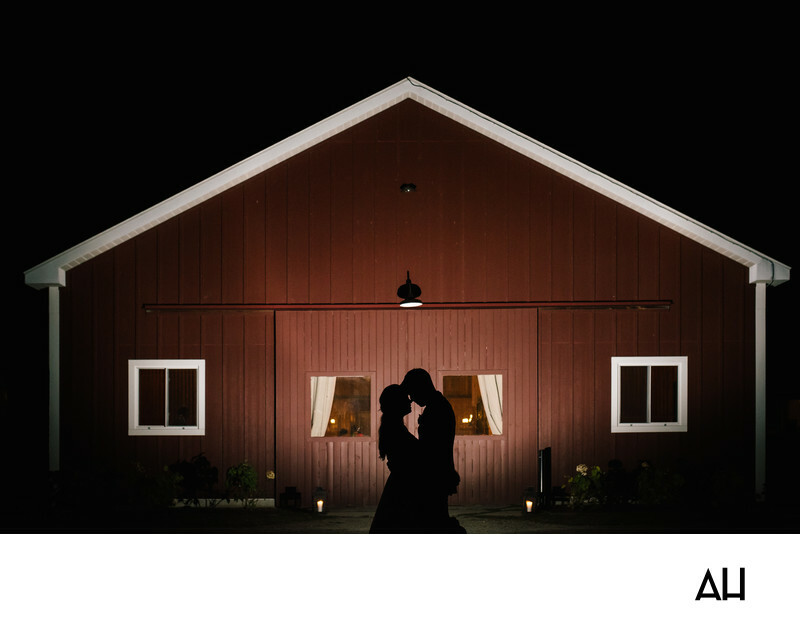 For a truly rustic country-style wedding, visit Wood Acres Farm in Terryville. It offers outdoor garden ceremony space, and a barn reception space. Twin ponds make the perfect photo backdrop. Antique furniture, rocking chairs, and rustic décor add to the theme. No matter which of these barn wedding venues in Connecticut you choose, you’ll find it makes the perfect canvas to build your ideal event.